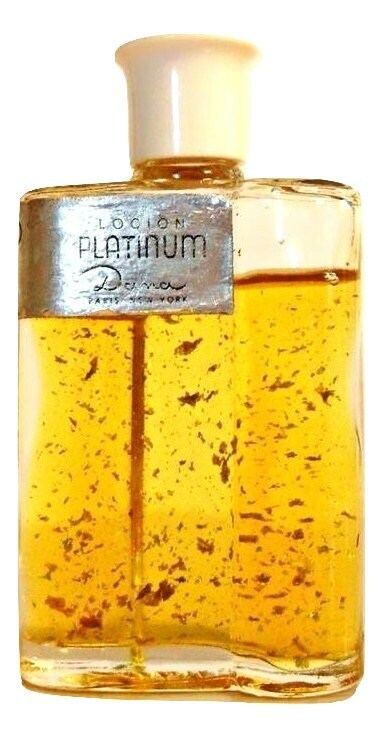 Vintage 1950s Platine Platino Platinum by Dana 1 oz Locion Cologne Splash. In this case, a lotion, is a type of refreshing and lighter cologne meant to be splashed liberally over the body during the warmer weather months or in a tropical type of climates where heavier perfumes might be too cloying. Platine, the French word for platinum, was sold as "Platino" in Spanish speaking countries and as "Platinum" in English speaking countries. The silver foil paper label on this bottle shows all three names. The label shows wear and tear from age and storage. The bottle is about 80% full. 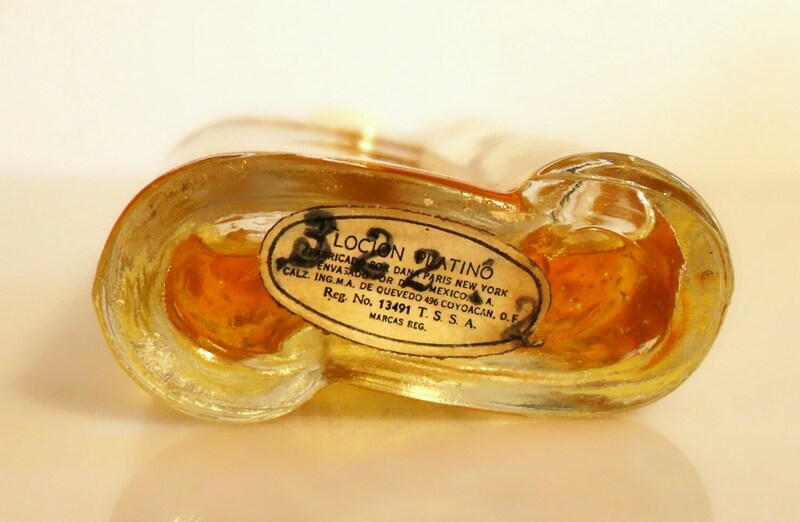 I just tested the perfume and although it is old and not as fresh as it once was, it is still wearable and has not turned and the perfume color is still quite a bright yellow. There are still flecks of silver leaf floating in the perfume as well. The bottle is not marked as to size but stands just over 3" tall and I believe it is 1 ounce size. The bottle has a white plastic screw cap and a clear plastic plug that sits inside the mouth of the bottle to prevent spillage. Calz. Ing. M.A. De Quevedo 496 Coyoacan D.F. Which basically says that this was packaged specially for the Mexican market. 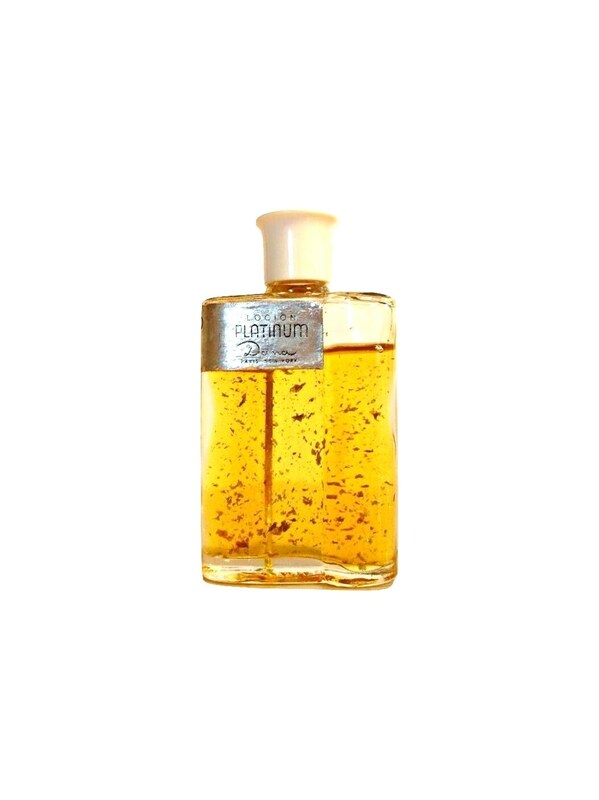 Launched in 1938, Platine It is classified as an aldehydic floral chypre fragrance for women with a sparkling aldehydic top note and lots of soapy Bulgarian roses. 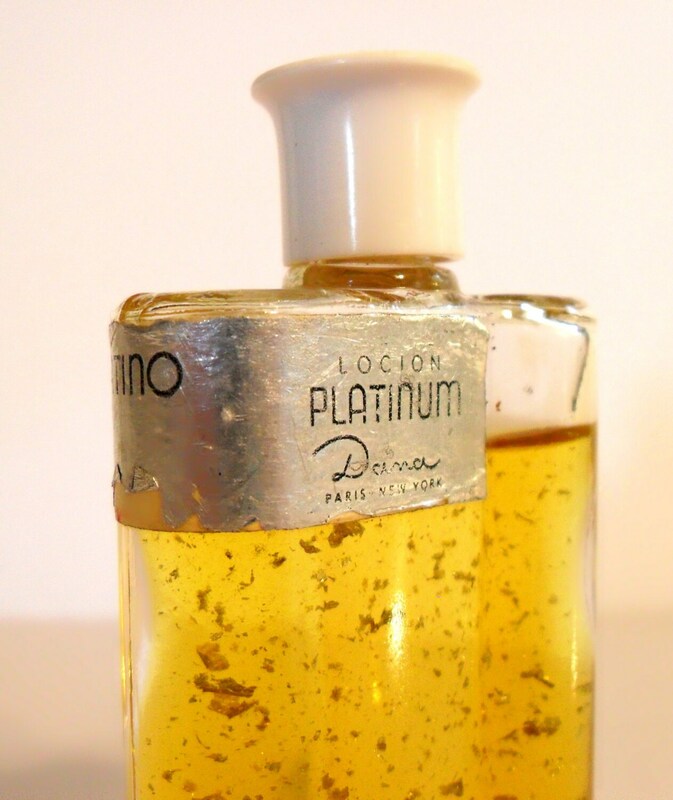 Platine has been discontinued since the 1970s.